I’m a student of Waseda University, working here at the Japan Foundation Information Center through internship program for 2 weeks. The Japan Foundation is the organization I have always always been curious about (since primary school! ), so I was very much excited when I heard about this internship program. Everyone here is sooooo nice and working hard every day. Although I imagined the “atmosphere” (Japanese people love this word, “Fu-n-i-ki”) of the office was more formal before coming here, it is actually very cheerful, so I really love it! By the way, today, I am going to show the inside of the head office where the Information Center is located. My favorite place in this building is stairs. Each floor has a unique poster which really makes me laugh! If you find him, you will get「Happiness」!! 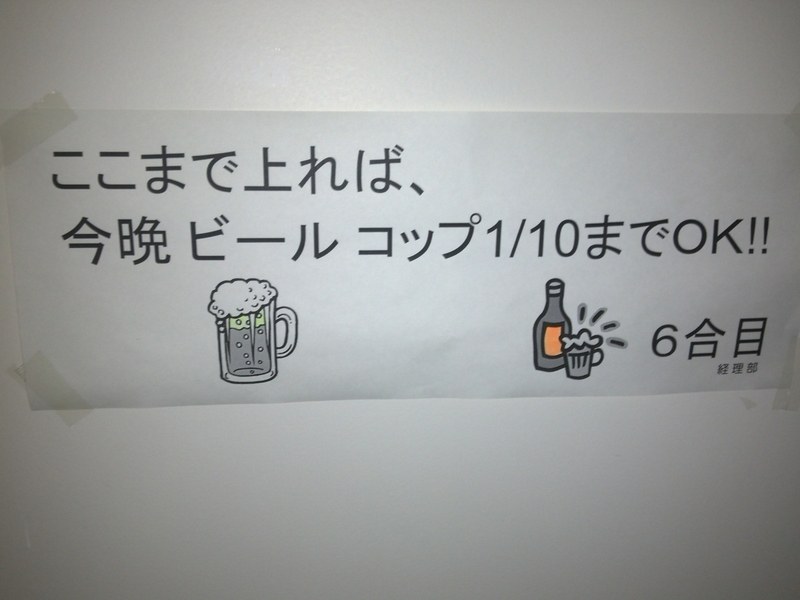 to drink 1/10 glass of beer!! Aren't they sweet? 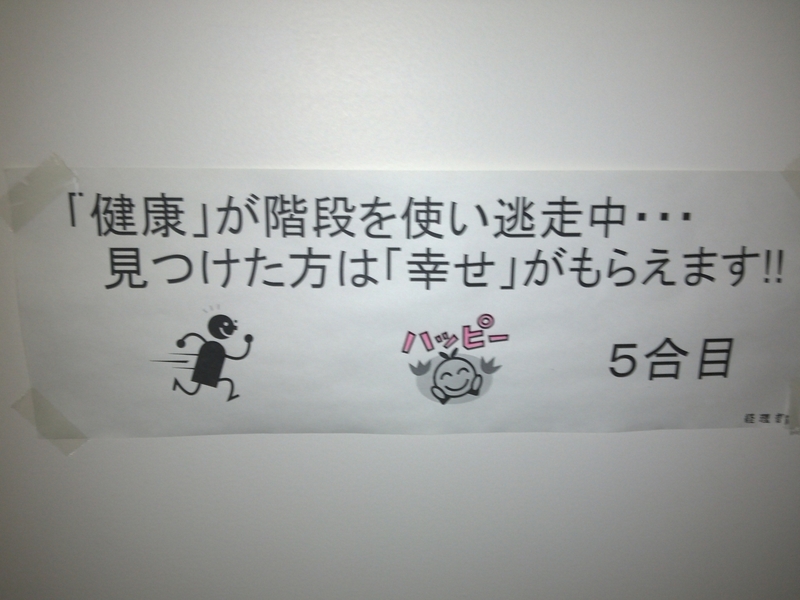 Apparently those signs are remains from the last year's strict electricity saving after the 3.11 disaster in East Japan. 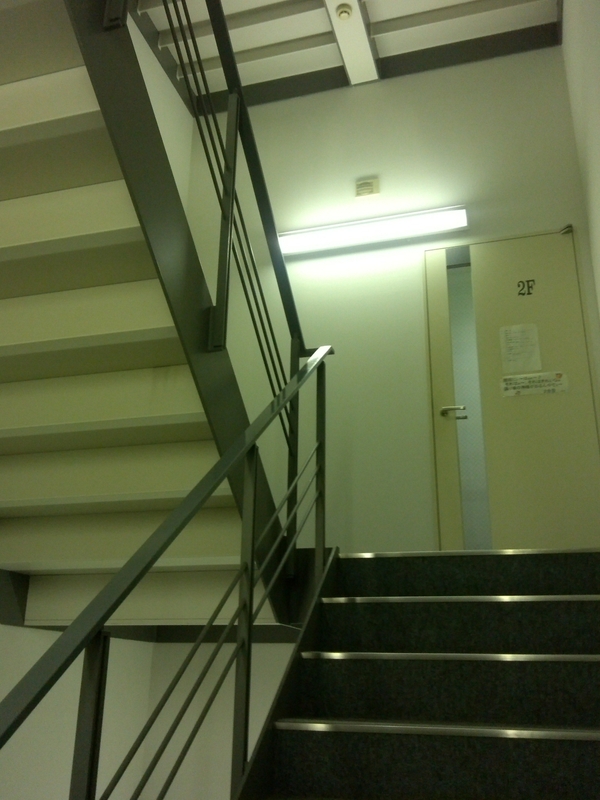 Such strict energy saving is not required now, but many people choose to use stairs this year as well. I want to say many many thanks to all the people I met here, and I promise I will do my best until I finish my internship program.